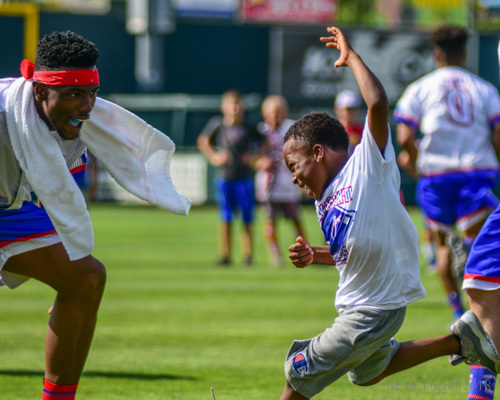 Mason brings KU, NBA stars to KCK for charity – Welcome to Wyandotte Daily! 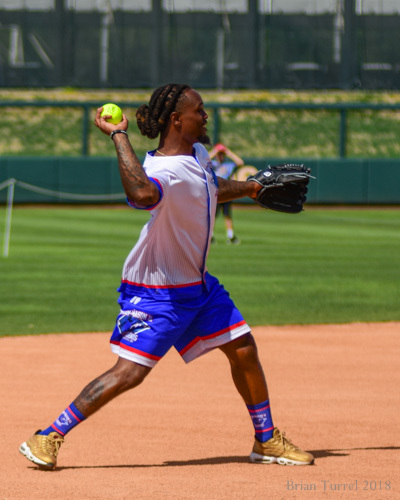 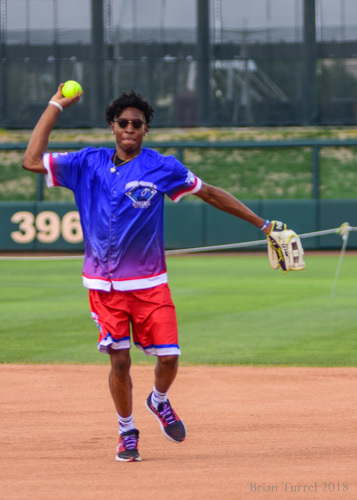 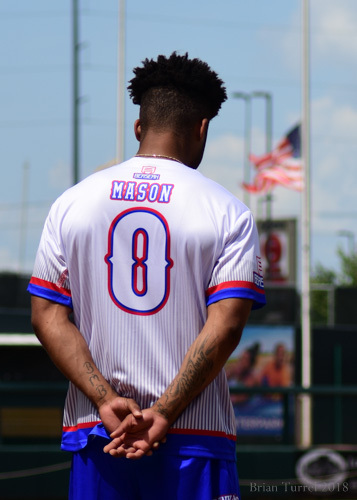 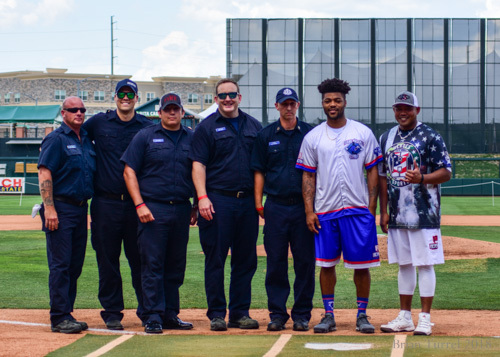 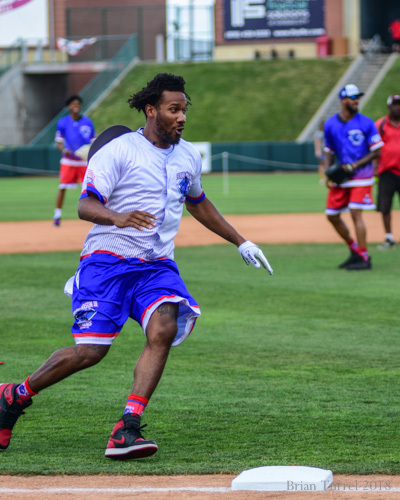 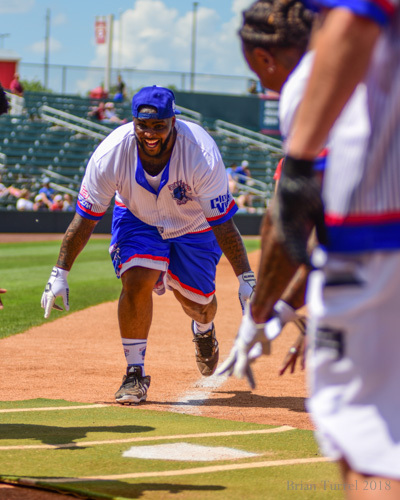 NBA stars and KU greats faced the searing afternoon heat with good humor and high spirits in the Frank Mason III charity softball game played on Saturday, June 16, at T-Bones Stadium in Kansas City, Kansas. 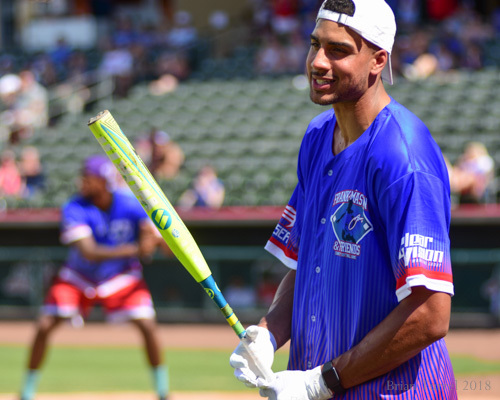 Mason, the consensus national college basketball player of the year at Kansas and now a member of the NBA’s Sacramento Kings, held the game to raise money for the National Youth Foundation and Children’s Mercy Hospital. 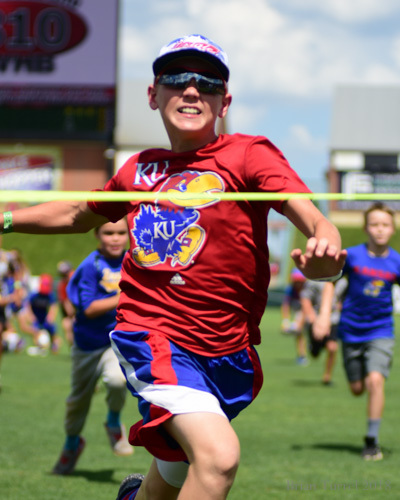 Jayhawk spirit was on display for much of the game, with Rock Chalk chants from the crowd and the Kansas fight song over the loudspeakers. 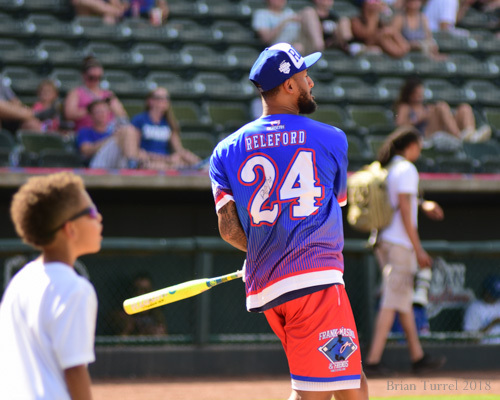 Fans were able to get up close with the players during games between innings, and players spent much of the game signing autographs along the outfield walls.